Wow looks yummy now how could I make this healthy, I never use condensed milk- replace with organic coconut cream and add a banana for sweetness. This looks so good! I'll definitely be trying to make it tomorrow, it's perfect for summer! That sounds delicious. I would probably leave out the liquor on my mine though. This looks delicious! I've not ida what cassis is though, an alcoholic drink? Oh - this is one seriously grown up and lush dessert. Sounds delicious! I haven't had casis for years, might have to give this one a try! Well if make it for the kids leave out the alcohol. If only someone can create virtual tasting it would be great. Thanks Sarah, its one of our firm favourites. Polly I hope you enjoy making it. Julie I hope you try to make it its delicious. I could so use some of this right now. The perfect sweet treat. Danii yes we just has some for our dessert. I hope you make it Jade I am sure you will like it. Oh that looks very yummy! 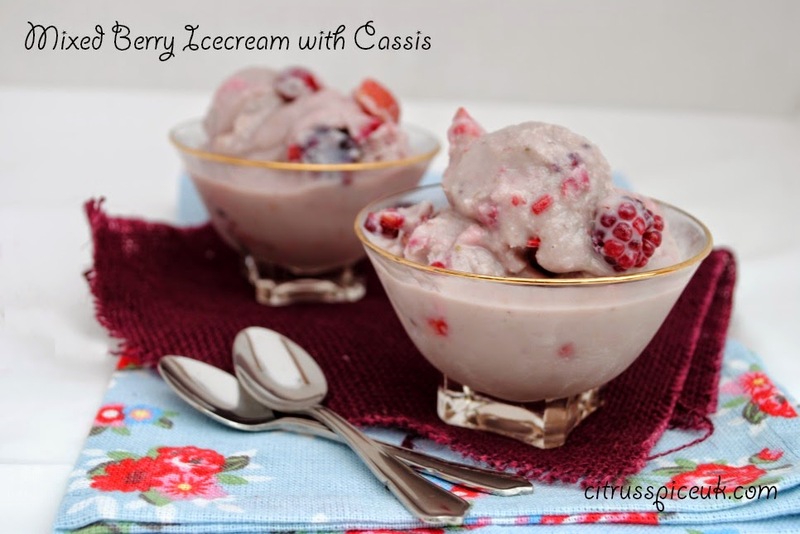 Love fruity ice cream and it is a perfect time of the year for it! With the heat wave its perfect. Looks great. And with all these berries it must taste like heaven! 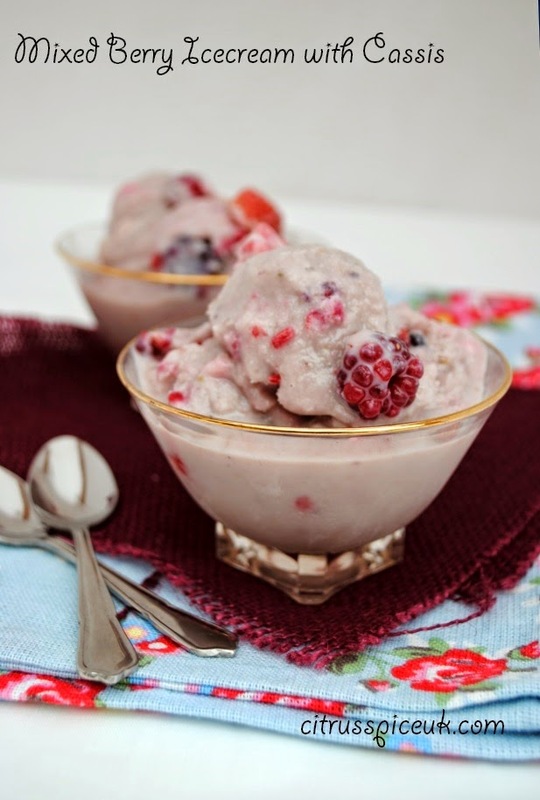 It tastes really very summery and tartness of berries really work well with the condensed cream. That looks just scrumptious. I could eat a bowlful right now! Its really very summery and delicious. Never made my own Ice Cream, this may just tempt me to try.